When it comes to driving a Scion, your vehicle provides a stylish, technologically-advanced experience with high performance and a smooth drive. Due to the technology of your Scion, your vehicle requires the highest quality auto repair center to handle your repairs and services. 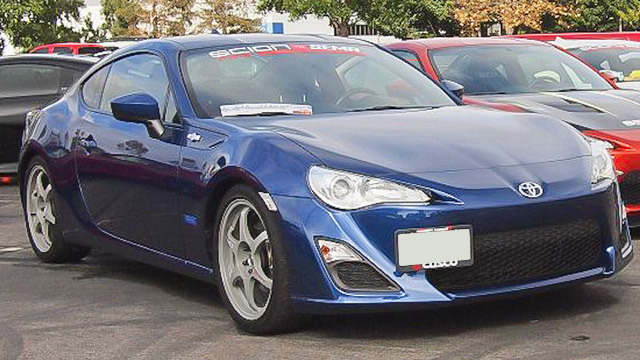 At Eagle Automotive Service in Littleton, CO, we’ve been providing excellent Scion repairs and services for years. Our ASE certified technicians are extremely experienced and specially trained to work on Scions. Whether your Scion needs a major repair or is due for scheduled maintenance, our auto repair shop can help. Our master mechanics are experienced working with all makes and models of Scion vehicles. We are proud that our auto repair shop is equipped with the highest quality tools and state-of-the-art diagnostic technology to properly handle your Scion. Our priority is to help get you back on the road safely while boosting the performance of your vehicle, which is why our staff takes the time to educate you on our recommendations and which services are vital to keeping your vehicle running in top condition. Eagle Automotive Service is the trusted choice for Scion auto repair in Littleton, CO. If your Scion is due for a repair or service, bring your vehicle to our experts at Eagle Automotive Service. We look forward to servicing your vehicle soon!